Irregular pigmentation, fine wrinkles or furrows as well as coarse pored skin are often perceived as disturbing. The CO2 laser treatment is suitable for skin rejuvenation, skin renewal, skin smoothing and the effective treatment of unwanted skin changes. In a laser treatment with our Fraxel laser, the skin is abraded by laser light, which stimulates the renewal of the skin. For a laser treatment, the skin should not be tanned, which is why intensive sun protection is important in the time before. Basically, sunbeams should be avoided. A pre-treatment of the facial skin through intensive skin cleansing and conditioning with vitamin A and retinol products supports the effect of a laser treatment, as the activity of the skin cells is already stimulated. We will provide you with detailed advise in this regard. In the case of herpes sensitivity, herpes prophylaxis must be performed with appropriate tablets. As a rule, the facial areas to be treated are locally anaesthetised, so the treatment is painless. The skin is specifically treated with the laser and the special creams applied afterwards promote healing. After the treatment, the patients rest with us for a while. For optimal healing, we give our patients various ointments, which they can apply themselves at home according to a special skin care plan. A crust initially forms on the treated area, but disappears again after four days. In the following 2- 3 weeks the skin is still reddened, but this can be easily concealed. The laser treatment is suitable for young to middle-aged skin with small to moderate wrinkles, where a very fast healing is necessary. Who is suitable for the FRAXEL CO2 laser treatment? Laser treatment is particularly useful for small wrinkle depths in limited facial areas (e.g. lower eyelids or mouth). For larger wrinkles, it is advisable to consider a peeling. Light skin types are well suited for CO2 laser treatment, while dark skin types present a greater risk of long-term pigment damage. How often must the treatment be carried out? Suddenly you get a good result. The laser treatment can also be repeated without any problems (at the earliest after 6 months). Does the CO2 laser treatment hurt? No pain, a slight itching at most. What other treatments can CO2 treatment be combined with? When do you see the results? After approx. 3 to 4 weeks. When can you put makeup on again? Is laser treatment an alternative to cosmetic surgery? No, surgery is used to shape the face and reshape volume shifts, while laser treatment rejuvenates the skin. Thrombocyte concentrates obtained from the patient’s own blood and applied to the freshly lasered skin areas. This accelerates the healing process and improves the result additionally. 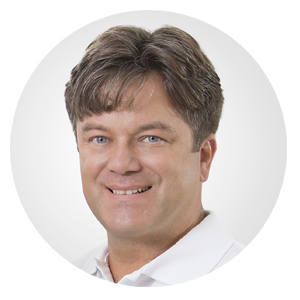 Dr. Frank Muggenthaler will answer your most frequently asked questions about Fraxel CO2 laser treatment on this page. Can’t find an answer to your question here? Then get in touch with us! We will answer all your questions, gladly in a personal consultation in our practice in Basel.